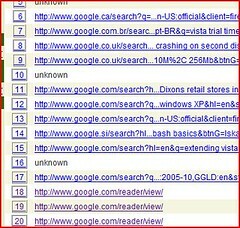 Their is tons of traffic coming in via google. And not just through the search engine. Their is google reader their too. But where are the other search engines? Their isn't any Yahoo, MSN or Askcity? What gives?